The Carrier Dome is the largest in college basketball. 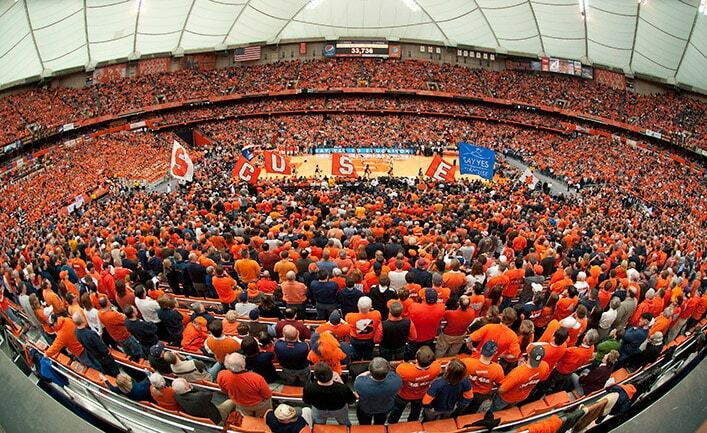 Syracuse’s basketball arena is the biggest by a landslide, coming in first place with 34,616 seats. The huge space makes more sense once you know that the Orange football and lacrosse teams also play there — and the capacity is increased to 49,262 for those games. Syracuse fans have a new reason to get excited about the massive arena that originally opened in 1980 — renovations coming in the next few years include a new roof, scoreboard and air conditioning. 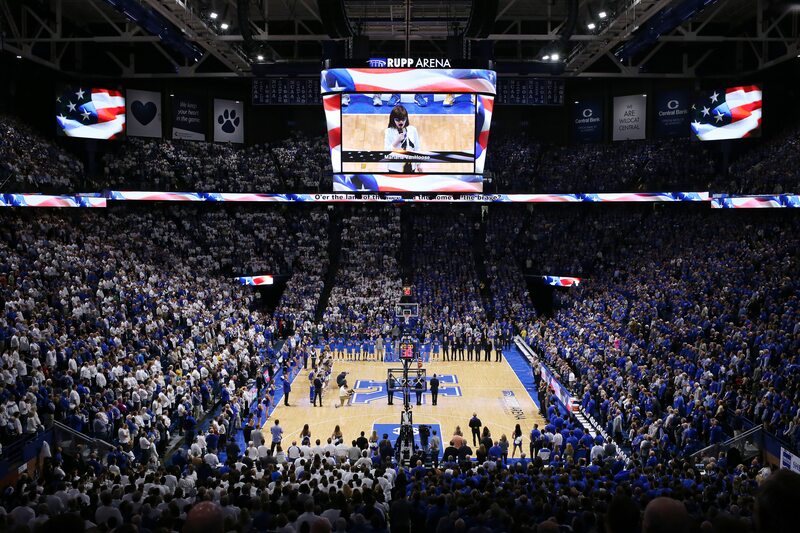 Rupp Arena currently seats 23,000 fans. 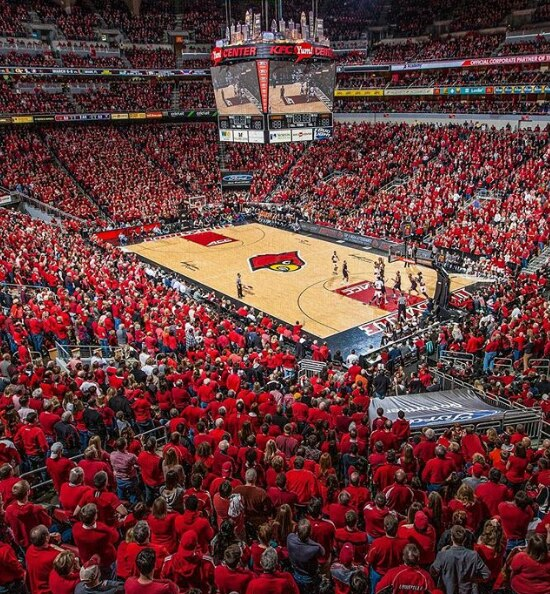 Louisville plays at the KFC Yum! Center. Louisville’s arena comes in third on the list, just under 1,000 seats behind Kentucky. The KFC Yum! 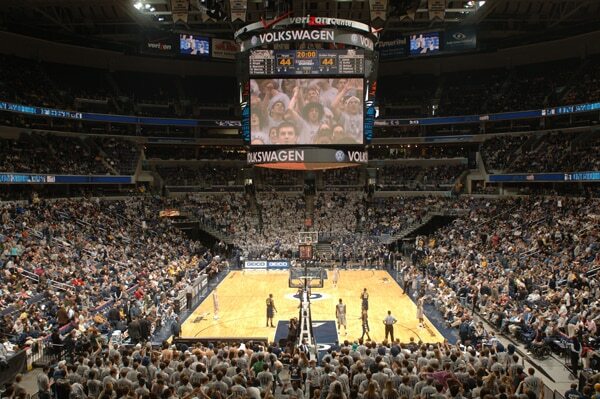 Center seats 22,090 fans during men’s basketball games. The arena is also home to Louisville’s women’s basketball and volleyball teams. Because the name of the arena alone will probably make fans hungry, the 721,762-square foot arena includes an incredible 176 points of sale concessions. 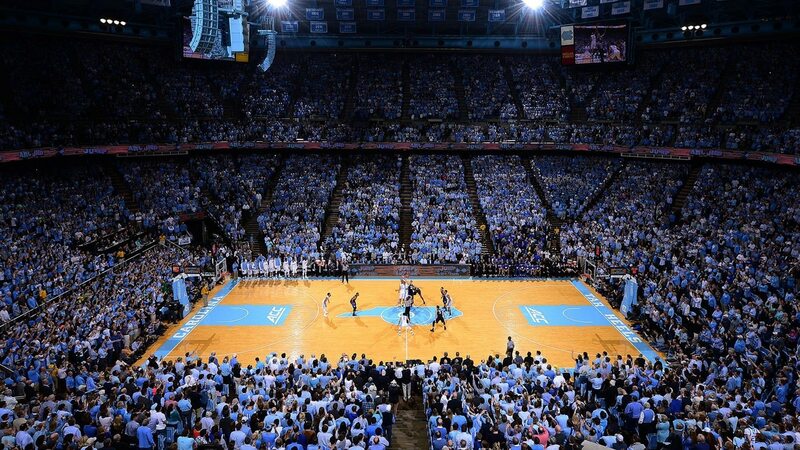 Dean Smith Center is home to the Tar Heels. Thompson-Boling Arena has recently been redone. The Tennessee Vols play at Thompson-Boling Arena, named for donor B. Ray Thompson Sr. and UT president Dr. Edward J. Boling. The space has room for 21,678 fans on game day in Knoxville. When the arena first opened in 1987, it brought in more than 20,000 fans at every game that season. The Tennessee women’s basketball and volleyball teams also play at Thompson-Boling. Capital One Arena seats 20,600 fans. 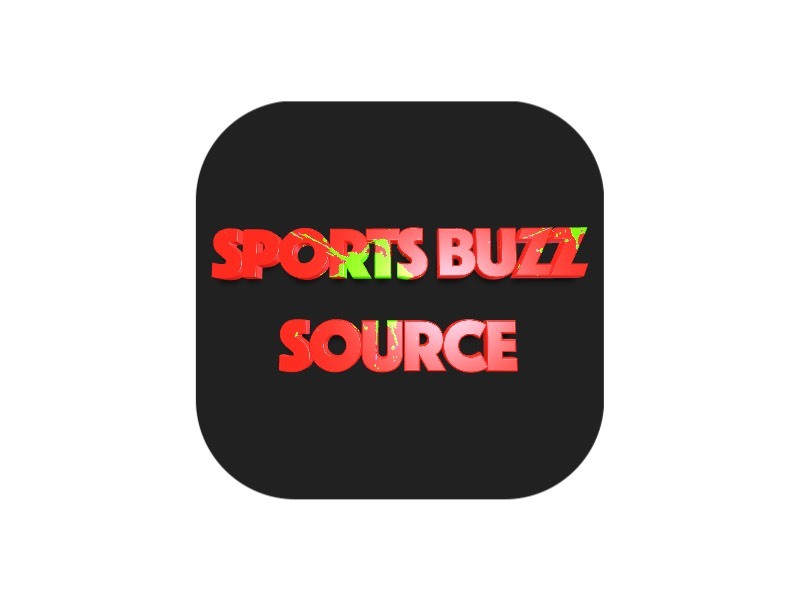 MSG host NCAAt games in addition to St. John’s home games. This one needs no introduction — Madison Square Garden is known around the world, and seeing a basketball game there is definitely one for the bucket list. 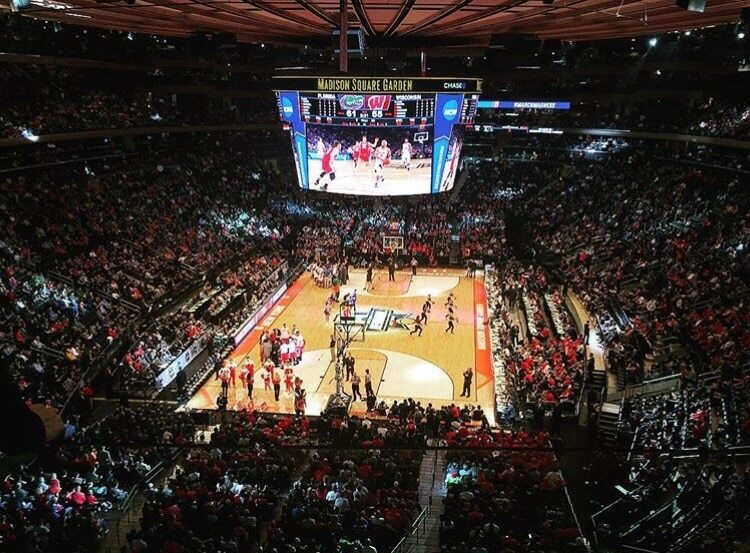 In addition to hosting the Knicks, Rangers, NCAA tournament games and concerts, MSG is the home court for St. John’s. MSG was built over Penn Station in 1968 and seats 19,812 during St. John’s home games. PNC Arena is home of the Wolfpack. The Wolfpack made the move from Reynolds Coliseum to PNC Arena in 1999. 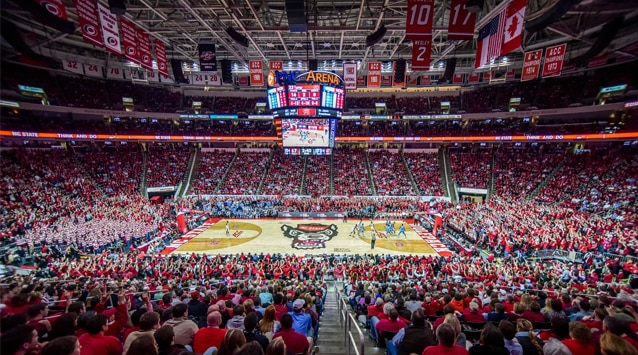 North Carolina State’s home can accommodate 19,722 fans on game days. Unlike many other college basketball arenas, Wolfpack fans can dine at a 300-seat restaurant without leaving the action. The NHL’s Carolina Hurricanes also play at PNC. Bud Walton Arena has space for 19,368 fans. 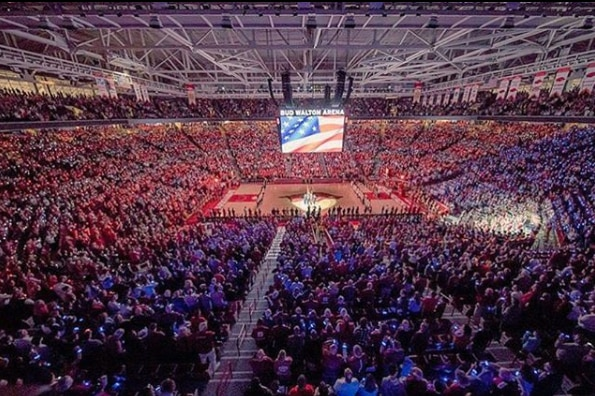 Bud Walton Arena, with a capacity of 19,200, has been home to Arkansas men’s basketball since 1993. The arena serves as an upgrade from Barnhill Arena, which only sat 9,000 fans. In their first season in the new stadium, the Razorbacks went unbeaten at home (16-0) in front of sold-out crowds en route to winning the 1994 national championship.